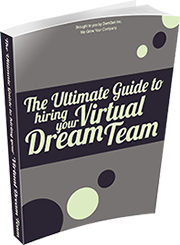 DemGen is growing rapidly and is always looking for superstar business professionals to join our virtual team. If you enjoy working virtually (fully equipped with high-speed internet and long-distance phone line), have an entrepreneurial spirit and love being part of a fun, conscious business, we’d love to hear from you! We are currently seeking Business Coaches and Strategic Advisors to support our entrepreneurial clients in growing their businesses. Excited to help like-minded entrepreneurs to achieve their business goals?